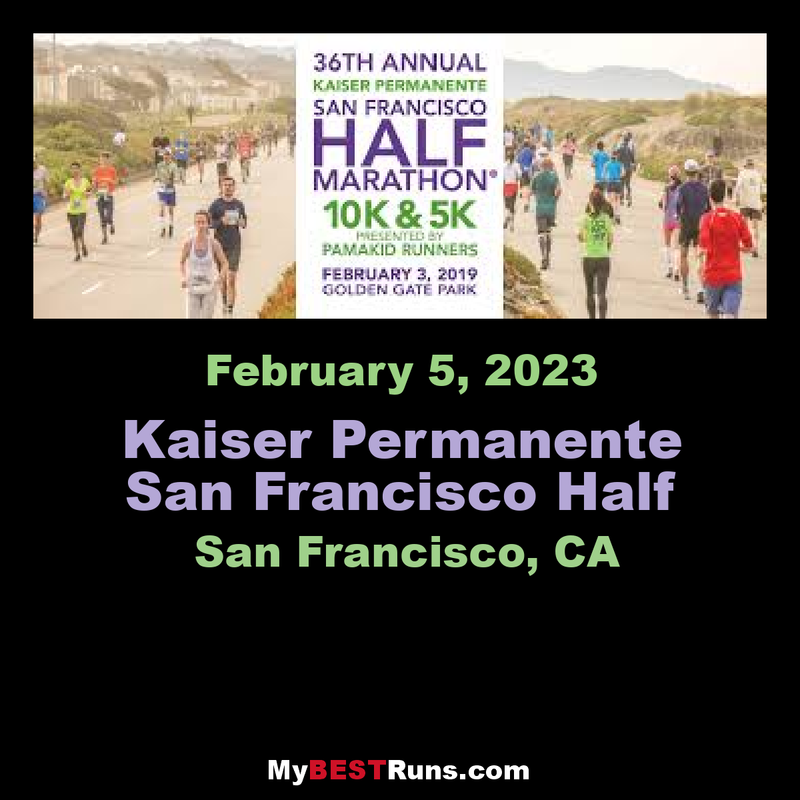 The Kaiser Permanente San Francisco Half Marathon® 10K & 5K presented by Pamakid Runners raises funds to support San Francisco Bay Area community organizations. 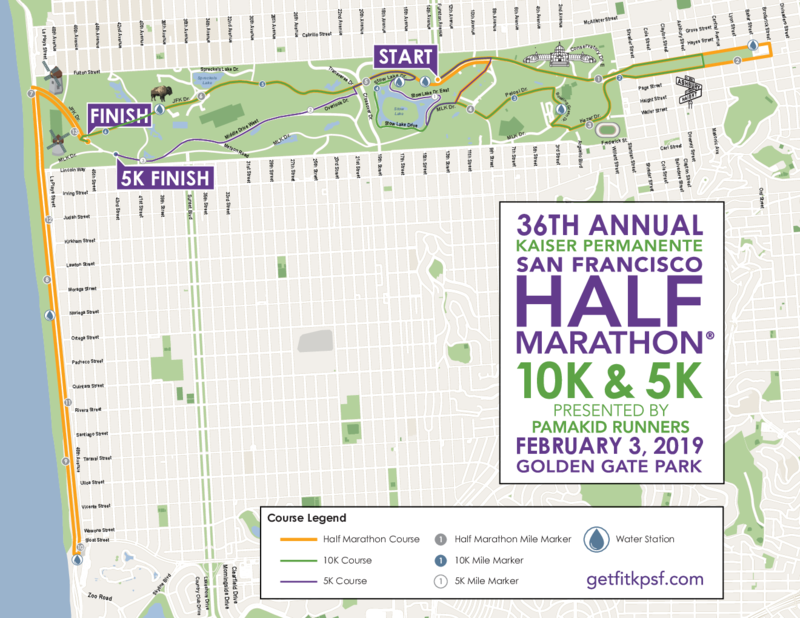 The first seven miles is in Golden Gate Park, then we run along the Pacific Ocean. You couldn't ask for a more scenic and famous route. Good course and a fun time. I have run this race five times. Very scenic course in Golden Gate Park and along the Pacific Ocean. The terrain is mostly flat with gradual grades. The weather can be a challenge. In 2008, when I ran this, it was very nasty weather with freezing rain and wind. Was lucky to finish in under 2 hours, as my hands were numb and bones were shaking!